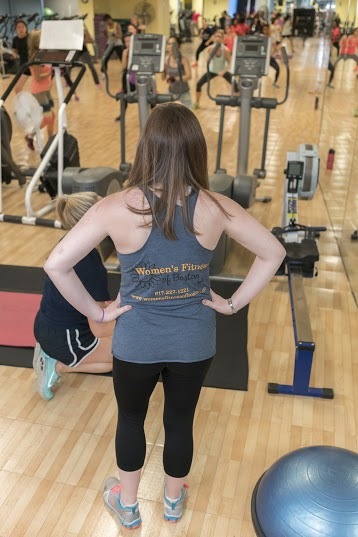 Buyer represents, warrants, and acknowledges that the buyer is in good physical condition and able to utilize Women’s Fitness of Boston equipment and facilities and perform the excercises available at WFOB. Buyer also agrees to use the facilities and equipment of WFOB in a safe and responsible manner, to request of WFOB when appropriate or necessary instruction on the proper use of all equipment, and the proper method of exercises. In addition, buyer agrees to warm-up properly prior to beginning any exercise program and to use the equipment only for the exercises that the piece of equipment was intended for. 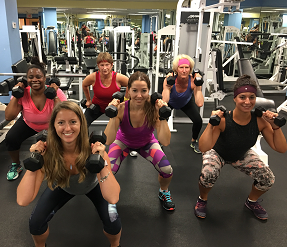 Buyer also agrees to use caution, common sense and safety when selection the type of machine, exercise, or amount of weight during their workout at Women’s Fitness of Boston. Rules, policies, and regulation may be subject to change without notice. It is understood that monthly payments will be collected through an electronic funds transfer system using a major credit card, debit card, checking account, or savings account. All uncollected monthly payments due to insufficient funds, problems with accounts, or membership balances past due will be subject to a $10 service charge. Failure to correct these problems within 7 days of being notified will result in a suspension of membership and will be subjects to a $34.99 reactivation fee. If we do not hear from you within 30 days of being notified, the membership service may be canceled and we may be forced to place the account in collection. Personal items items will be removed from locker and stored for 30 days before disposal. Personal belongings may be retrieved within the 30 days upon payment of balance due. Members renting overnight lockers and/or with “Exclusive/VIP” memberships must return the locker key within 30 days of canceling membership or will be charged a fee of $25.00. Failure to use the facility does not relieve the member of their financial obligation. Memberships can be cancelled within 3 business days of joining. Paid in Full memberships are non-refundable after 3 business days. Please note, all monthly memberships are billed once a month on a recurring basis. All cancellations of monthly memberships must be received in writing 30 days prior to the next billing date. Membership card must be returned at the time of cancellation. Each year on the 20th of June or January each member enrolled on a yearly/monthly membership will be required to pay a $35 facility fee. The proceeds of this fee will go toward new equipment, facility upgrade, and operating expenses of the facility. This fee is deducted automatically from your account. Monthly memberships can be frozen for a fee of $10.00 per month. Freezes must be done in writing by the 15th of the month.